The flute is a member of the woodwind family of instruments. 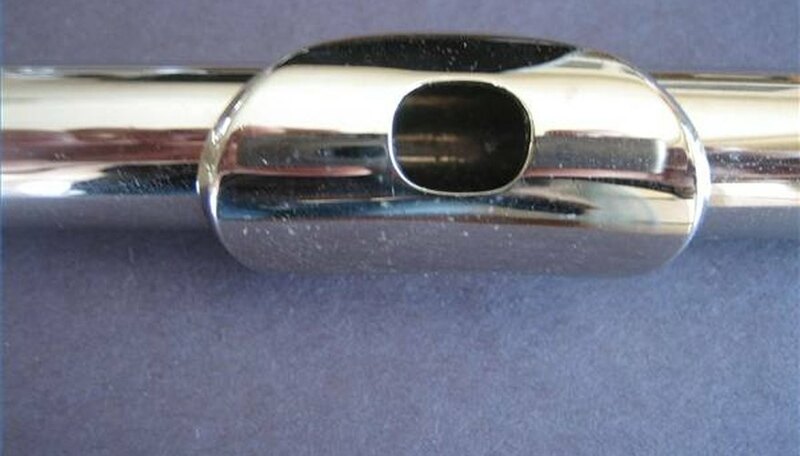 A musician blows steady streams of air across the hole in the head joint to produce sound. He opens and closes the keys at the top of the instrument to change the pitch. These fluctuations create a shrill timbre or a low, resonant sound. 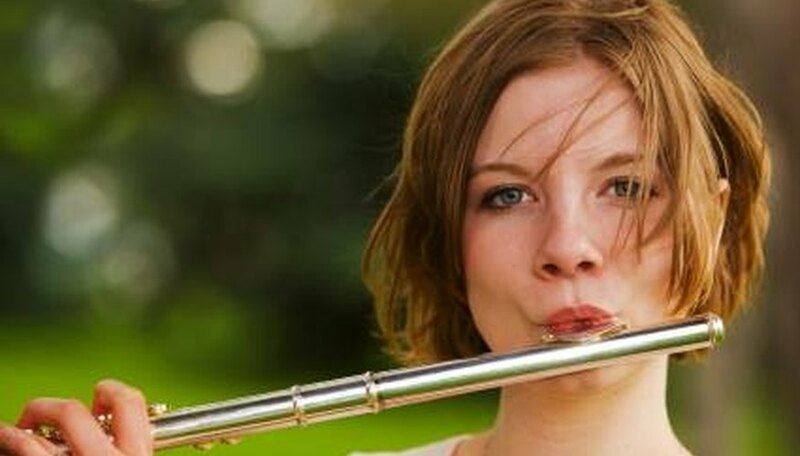 Before pulling out sheet music, learn how to blow into the flute. With patience, you'll be on your way to making beautiful music. Take the head joint out of the case. 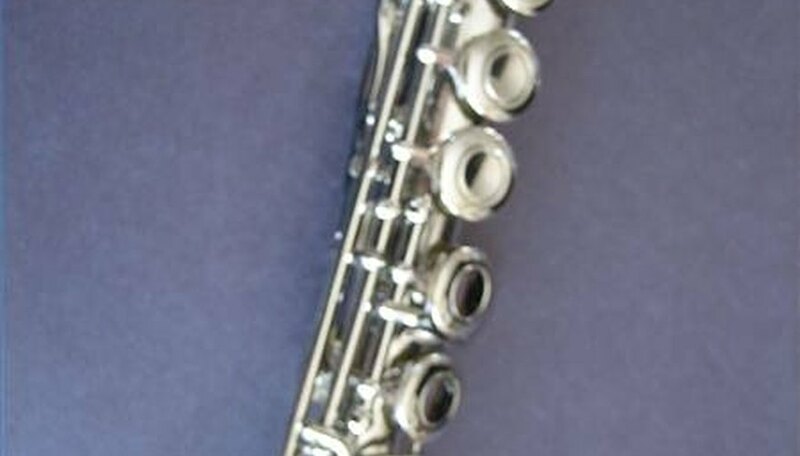 It is the first section of the flute. Position your lower lip against the lip plate, which is the raised piece on the head joint. Look in the mirror. Hold your head straight. Press lips together, almost in a pucker. Leave a small space between your lips open. Keep the hole upward. Lightly blow a steady stream of air across the plate. Rotate the head joint slightly to change the angle if you do not hear a sound. Keep the head joint parallel to the ground. If you still do not produce a sound, stand in front of the mirror with a lit candle. Gently blow across the flame without allowing the candle to blow out. Notice the formation your lips make. Transfer this technique to the lip plate. Continue to blow into the head joint until the sound is clear. Next, practice putting the palm of your hand against the end of the head joint and removing it. This should produce a high, then low, sound. Your hand and the air stream control the tone. Do breathing exercises to strengthen the diaphragm. Stand up straight. Breathe in slowly through your nose. Exhale through pursed lips. Gradually increase the amount of time you practice this. It allows you to use less effort and energy in breathing so you can produce a clearer sound and maintain a consistent tempo in your music. Attach the body joint (the middle portion with keys) to the head joint. Connect the foot joint, which is the shortest portion, to the body joint. Line up the keys. Lightly rotate the foot joint, and align it with the body joint keys. Bring the flute up to your lips. 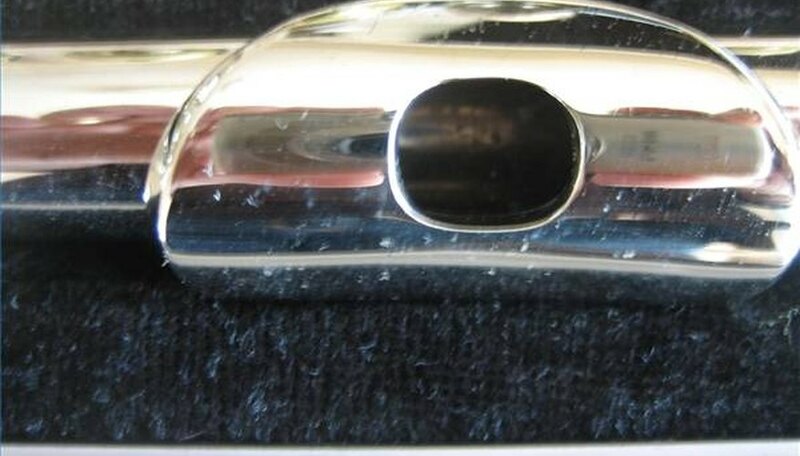 Without pressing any keys, blow continuously with a smooth stream of air across the lip plate. No sound? Rotate the flute slightly and reposition your lips on the lip plate. Blow again. Lay a pencil in the end portion of the flute. Attempt to create sound without letting the pencil fall to the floor. This will tell you if you are maintaining a proper posture while playing. A curved lip plate is easier to manage than a straight lip plate. Try for short periods and take breaks. It is easy at first to get light-headed. 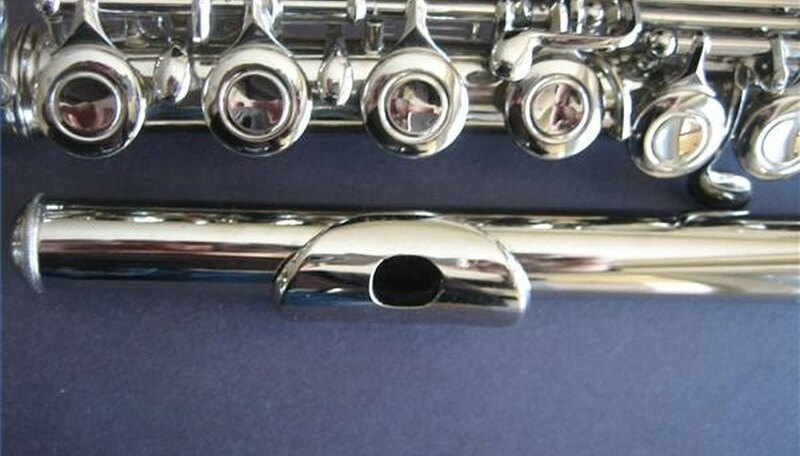 Put together and take apart your flute gently. Rotate the parts rather than jamming them on straight, which can damage your instrument and affect sound.